IPad mini 4 compared with iPad mini 2, iPad mini 3 was upgrade not much. Ipad mini 4 equipped with fingerprint sensor ID function and new color choices, that caused make many iPad mini 3 users felt a little disappointed. However, the mini iPad 4 was upgraded hardware, equipped with 8 MP iSight camera and new A8 processor, and support 802.11ac WiFi. 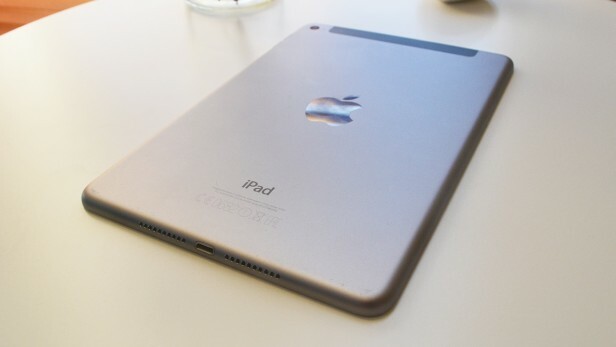 The iPad Mini 4 looks just like the iPad Mini 3 before it, which in turn looked just like the iPad Mini 2. Apple clearly feels it’s reached peak iPad design, and I mostly agree. Those chamfered edges glisten, the curved sides sit comfortably in your hands, and the flat back helps the device perch, without rocking, on a table. It’s as slippery as ever, though: I often feel a little uneasy when holding the tablet in one hand. 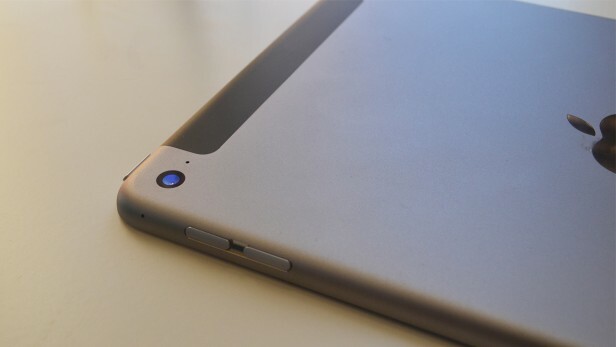 Along the side of the iPad Mini 4 is a volume switch, and a lock button sits along the top; Apple has done away with the rotation lock slider of the iPad Mini 3. This is in order to make the device slimmer – 6.1mm as opposed to 7.5mm – and the trade-off is fine by me. It’s lighter, too, by about 30g. On the bottom you’ll find the precisely machined speaker holes and a Lightning charging port. 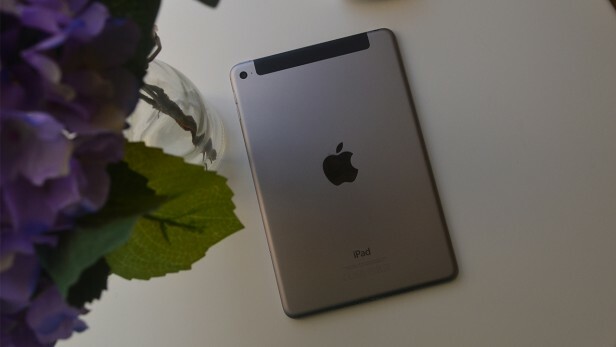 The defining feature of the iPad Mini 4, as its name implies, is its size. It’s far more manageable in one hand than the iPad Air 2 or 9.7-inch iPad Pro, and when placed next to the iPad Pro 12.9-inch the difference is almost comical. In certain situations, I much prefer the compact style. Reading, for instance, is far better on the iPad Mini 4. I can hold up the device comfortably with one hand for extended periods, something that wouldn&apos;t be possible with a larger tablet. It also feels more natural to be reading on a device that is the actual size of a paperback book. 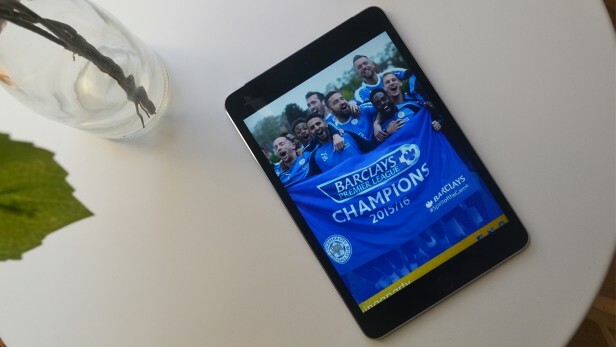 The iPad Mini 4 is also the perfect companion when out and about. Pulling it out on the bus, tube or train feels less intrusive to others – especially on jam-packed public transport – than it does with a full-sized tablet, which makes it a great little media machine to always keep around. However, I don’t find the iPad Mini anywhere near as productive as larger devices. Its smaller display leads to a smaller on-screen keyboard, making typing more difficult and therefore typos more common. The size issue affects third-party keyboard accessories, too, which again makes them far less functional than their larger counterparts. Since it was announced months before the 9.7-inch iPad Pro, the iPad Mini 4&apos;s display doesn’t feature True Tone technology. Still, this is a fine screen – in fact, of all the iPads this is the most pixel-dense panel. The 2,058 x 1,536 display is the same as both the iPad Air 2 and smaller iPad Pro, but those pixels are packed much tighter together in the 7.9-inch panel as opposed to the 9.7-inch version. This is also the first iPad Mini display to be laminated, ditching that tiny air-gap that previously sat between the glass and the actual display. Of all the changes in the iPad Mini 4 this is one of my favourites, and you’ll really notice the difference if you’re coming to the iPad Mini 4 from previous generations of iPad. It feels like you’re actually touching the pixels. There’s a wider colour gamut too – the same as the iPad Air 2 – so the panel can display a broader range of hues. Again, put the iPad Mini 4 side by side with either the iPad Mini 2 or 3 and you’ll instantly notice the difference. Blacks are deeper, reds are more vivid and whites are less dingy. It’s an all-round fantastic display, and a huge step-forward over the screen on the iPad Mini 2 and 3 – both of which I found a little washed out and lacking in vibrancy.